President’s Office, Regional Administration and Local Government (PO-RALG), established under Section 3 (1) of the Executive agencies Act. (Cap 245) by Order Published in Government No. 211 dated May 12, 2017 and was inaugurated on July 02, 2017. Tanzania Rural and Urban Roads Agency (TARURA) is vested with the responsibility of managing the development, rehabilitation, maintenance, axle load control, environmental and road reserve management of rural and urban roads network for the Socio - Economic development of Tanzania. 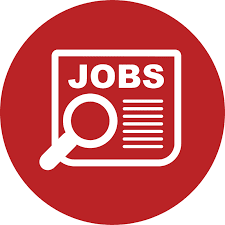 The TARURA Regional Coordinator Dodoma intends to recruit self motivated, qualified and competent Tanzania’s to fill the following vacant posts on temporally contracts basis (six months). TARURA Dodoma Regional Office, Chamwino DC, Chemba DC, and Kondoa TC. vi. Fluent in both Kiswahili and English. iv. Fluent in both Kiswahili and English. vi. Perform such other related duties as may be assigned by your Supervisor. Deadline for submission is 18th April, 2018 at 15:00 (3:00 pm) Hours.